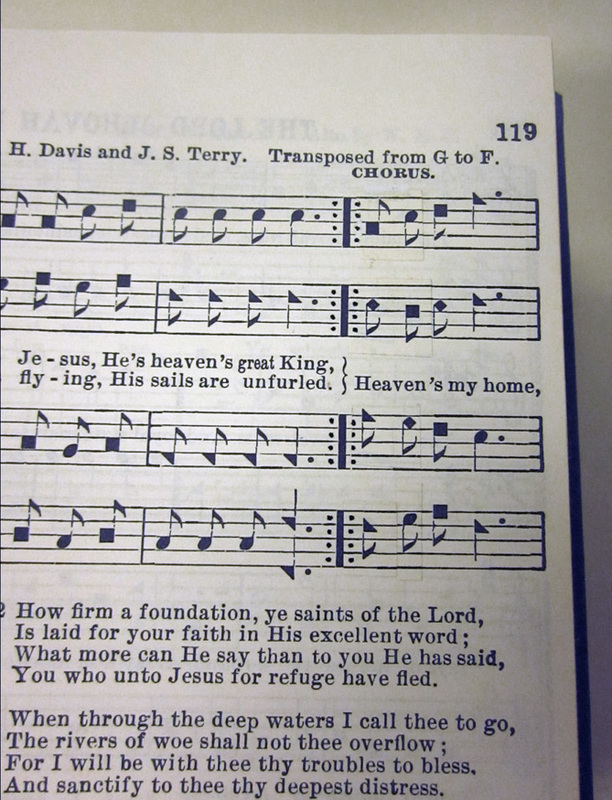 Why Do We Sing Sacred Harp? Panel discussion at the Alabama Folklife Association’s “We’ll All Sing Hallelujah” Symposium. Bill Hogan, chairman of the Baldwin County Sacred Harp Convention and active singer and teacher out of The Christian Harmony and the Cooper and 1991 editions of The Sacred Harp. Steve Grauberger, folklife specialist at the Alabama Center for Traditional Culture, recorded the day’s events and posted them to YouTube. I’ve embedded his video of the panel discussion above. 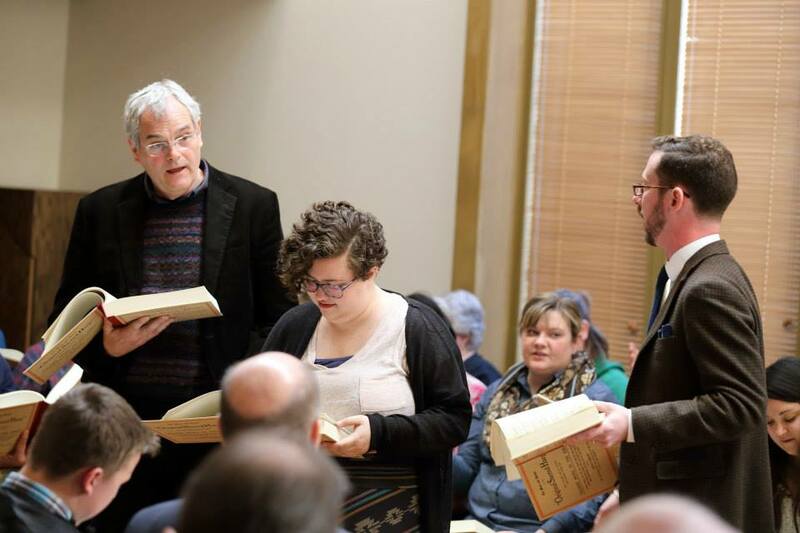 I asked the singers on the panel about how they became involved in Sacred Harp singing, what Sacred Harp singing means to them and why they choose to participate, how the style has changed over the course of their involvement, and what they imagine the future holds for Sacred Harp. The panelists spoke openly and with great feeling about their involvement in Sacred Harp singing. I’m grateful to them for their participation. Our discussion followed two excellent talks: Buell Cobb reading two excerpts from his new memoir, and Warren Steel discussing the relationship between oral and written in Sacred Harp and related music. After the panel we walked over to the old Shelby County Courthouse, now the home of the Shelby County Historical Society, where David Ivey led a Sacred Harp singing. “We’ll All Sing Hallelujah: Sacred Sounds of Alabama” was sponsored by the National Endowment for the Arts, Alabama Council on the Arts, Alabama Humanities Foundation, and the “Support the Arts” car tag fund. Thanks to Alabama Folklife Association executive director Mary Allison Haynie for her work organizing the event, and to Nathan Rees, who chaired the day’s talks and introduced the participants in our panel. 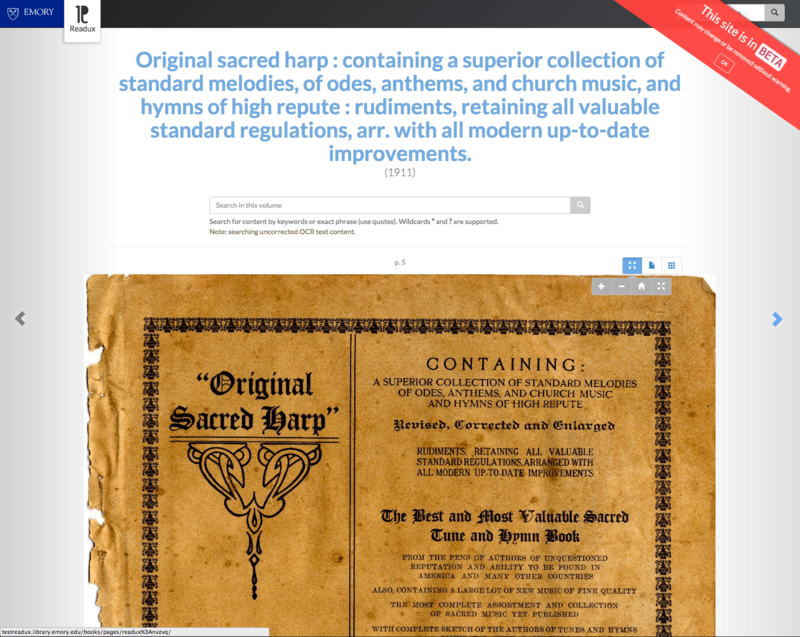 Author Jesse P. KarlsbergPosted on April 5, 2014 December 19, 2014 Categories PresentationsTags alabama folklife association, bill hogan, bridgett hill, buell cobb, david ivey, judy caudle, sacred harp, warren steelLeave a comment on Why Do We Sing Sacred Harp?